For more than 40 years, designers have come to trust the Zeftron brand. We are more than just a mark of assurance. We are a driver in creating beautifully designed carpets for commercial spaces. Our difference lies in our innovation. We offer a stunning color palette of more than 120 proven colors. Zeftron’s color experts formulate precise pigments and utilize an advanced solution-dyed engineering process. The result: Commercial carpets with unmatched color clarity and quality. 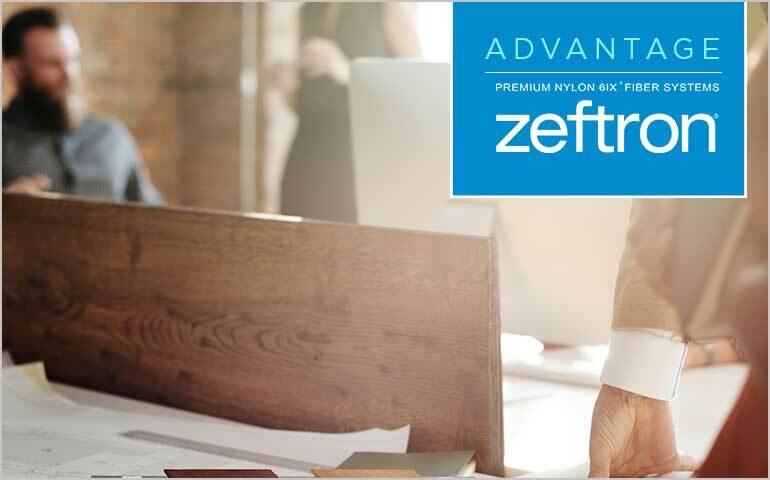 Whether you’re seeking a sophisticated running line or a custom-designed product, Zeftron delivers. 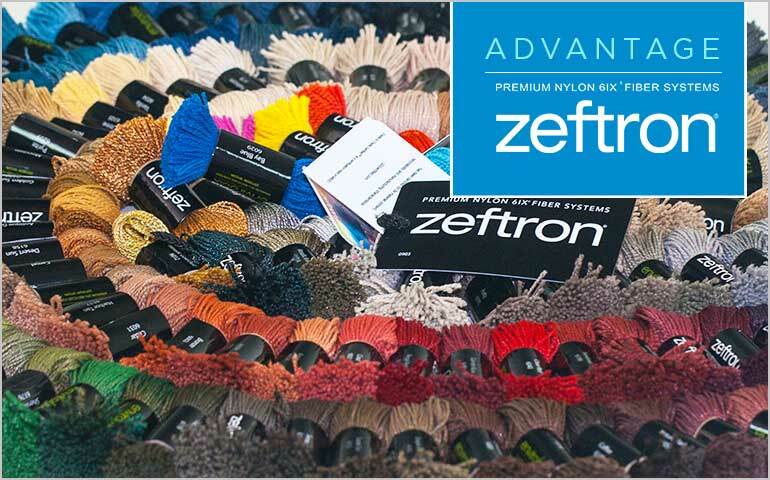 No other nylon brand can match Zeftron’s color and styling capabilities. We are the premier nylon in creating beautifully designed, sustainable and performance-driven commercial carpet. 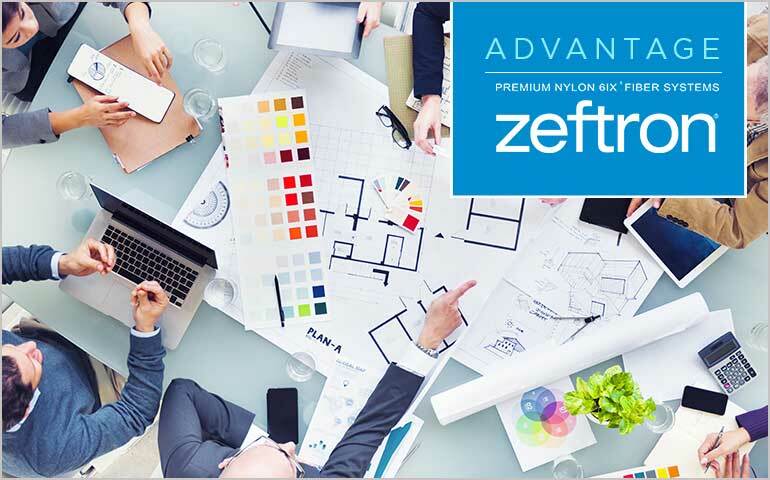 Zeftron works closely with interior designers, product designers and industry-leading mill partners who share our commitment to product excellence. Key to Zeftron’s longevity and proven success is its ability to listen and respond to marketplace needs. Architects and designers benefit from a network of field marketing representatives and service centers that provide product information and education, carpet specification assistance and technical support. Zeftron nylon is a part of Shaw Industries Inc., a Berkshire Hathaway company. It remains as an external fibers sales unit supplying premium yarn systems to a variety of carpet manufacturers. Zeftron brings exceptional color, clarity and intensity through a color palette of 120 shades known for their brilliance, clarity and clear crisp hues in a robust range of colors including bold accents and metallics. As a fully renewable type 6 nylon, Zeftron nylon can be recycled back into virgin-grade nylon and reused in new commercial carpet products over and over again without losing any performance, durability, coloring or styling attributes. We also include a minimum of 25% recycled content in every color we make. 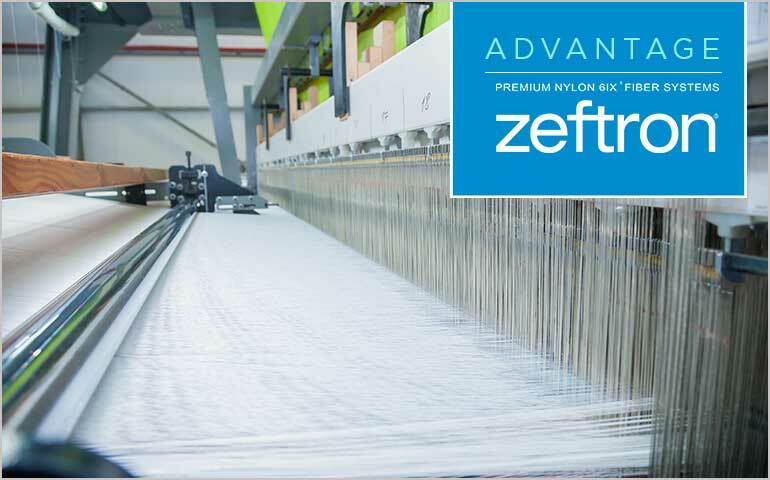 Zeftron nylon has been partnering with leading carpet mills for decades. Through integrity, consistent color, quality, dedication, flexibility and exceptional service, we deliver more. 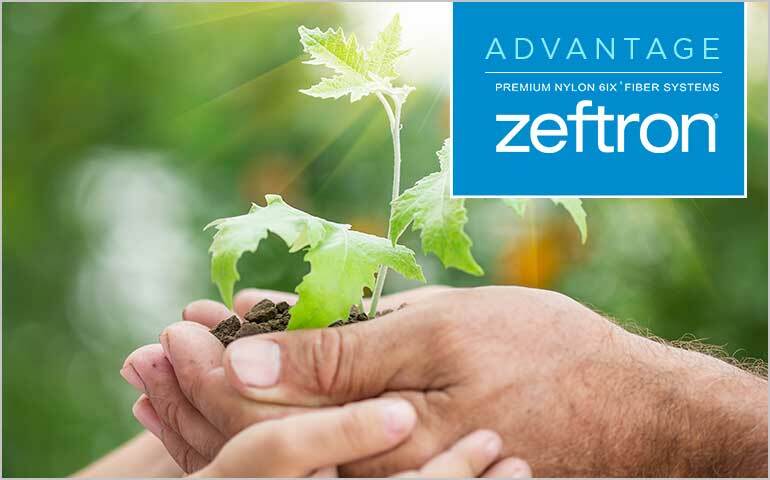 Zeftron stands behind its superior performing product with superior warranty protection. In fact, Zeftron was the first in the industry to offer a lifetime stain removal guarantee and lifetime performance warranties. 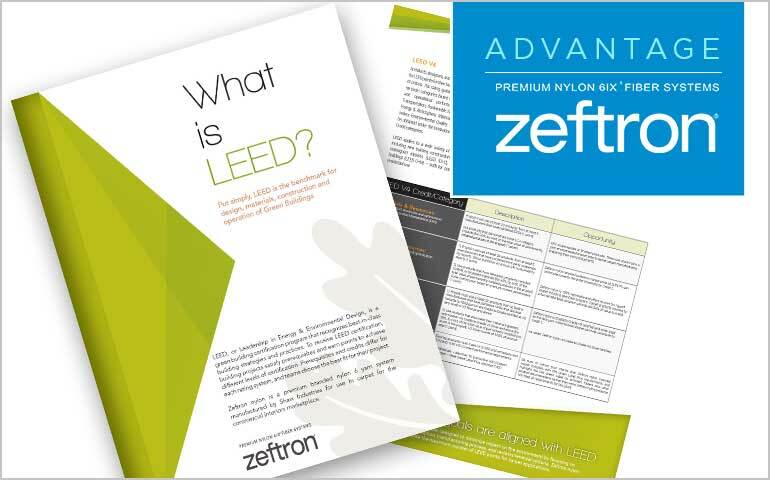 Carpets made with Zeftron can contribute to LEED credits resulting from its Cradle to Cradle Silver certification and a host of other tangible environmental attributes. Zeftron nylon has been a trusted partner for more than 40 years in the commercial interiors marketplace constantly evolving to meet the color and styling demands of the Architect, Design and Specifier community.